Beyond Yoga is a luxury athleisure line that emphasizes inclusivity and empowerment, creating yoga leggings and active wear in a range of sizes, designed to transition from the gym to the street. 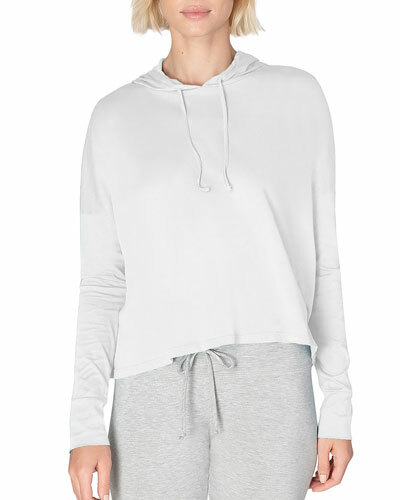 A melding of fashion and function, Beyond Yoga is always on trend, taking classic shapes and updating them with mesh accents, unexpected textures, rich colors, and sustainably sourced fabrics. With materials that keep you dry and comfortable throughout even the steamiest practice, Beyond Yoga pants, tanks, and tees are as essential as your mat. 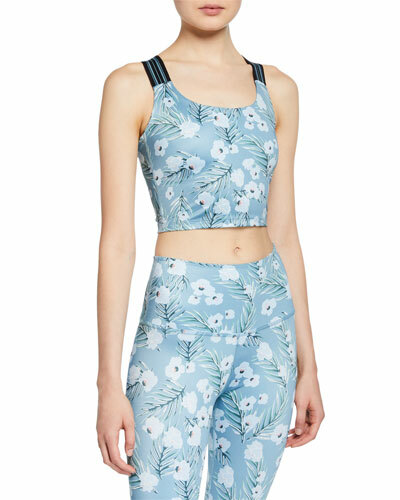 Shop a selection of Beyond Yoga athleisure wear, jackets, and bras at Bergdorf Goodman. 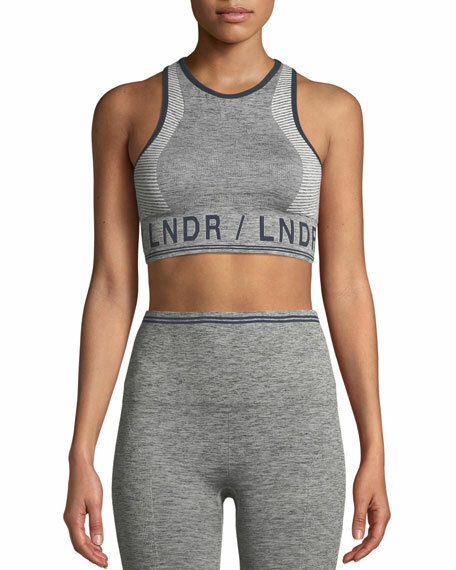 LNDR "Aero" sports bra in marled performance fabric. Compression panels for lift and support. Seamless design for a smooth finish. Antibacterial fibers prevent odor. High neckline. Racerback. Logo waistband. Nylon/polyester/spandex/polypropylene. Made in Portugal.